1 What is Minitab, and why is it so popular? 2 Why do we need Minitab, when I can use Excel? 3 I am a Minitab beginner, where should I start? 5 I am familiar with basics statistics - what next? 7 I want to optimise processes or formulations. Any help using Minitab? 9 I am a certified Six Sigma professional. How can I benefit from Minitab? 10 Where do I buy Minitab in India? What is Minitab, and why is it so popular? Minitab is a statistical software that uses graphical user interface to make statistical analysis easy to apply and interpret. Prior to Minitab, application of statistics to solve business problems was not very popular. That was because, statistical analysis required lengthy and difficulty calculations, and the results were not very intuitive to understand. Hence, most business users stayed away from applying statistical concepts. Minitab was one of the earliest software to focus on graphical user interface, and making statistics fun to learn, and easy to apply. Statistics has now moved beyond the desk of the mathematicians into the hands of shop floor engineers. Why do we need Minitab, when I can use Excel? Of-course with the help of Excel we can do many statistical calculations, but only for basic statistical calculations. Beyond that, relying on Excel is not just cumbersome, we are likely to miss the finer details, and cannot expect any "interpretation" help. Excel gives only the first mode it reads in multi-modal data, whereas Minitab displays all the modes with its frequency. In Excel, we need to define class intervals manually each time to build a histogram. Whereas, in Minitab class intervals are calculated automatically. Refer probability calculations using Minitab graph in adjacent graph. These calculations were very difficult to visualise with Excel, whereas with Minitab it has become far easier and fun. I am a Minitab beginner, where should I start? Descriptive Statistics enables large number of statistical calculations in one single command. Graphical summary is one of the most used commands, and itpresents various statistical calculations and graphs in one single view. Graphs menu has a series of graphs, which can make statistical interpretations very handy. This should help you start of the ground. If you enjoy problem solving using basic statistics, gradually you can learn more advances statistical tools and use them when you need. Most business users get a formal Six Sigma training or certification at this stage. If you are starting your journey in Six Sigma, and decide to use Minitab in your Six Sigma journey - we highly recommend you take our online certificate exam: "Minitab proficiency for Six Sigma Yellow Belt", available on Leandigit eCourse website. I am familiar with basics statistics - what next? Next, in list of recommendation is the Control Chart section. If you are a quality professional, probably one of your focus area is to reduce defect generation in your processes. Beyond a point, it becomes difficult to link defects to their causes, hence reducing defects beyond that seems difficult. That's because, most of the time "special causes" hide themselves amongst the noise of common causes. Control charts enables identification of special causes, and narrows the time window to help understand and identify special causes. Once we are able to identify special causes, controlling or isolating them is easy - and leads to true improvement of processes. Control charts, given in this software, covers almost all requirements of analysis. Refer eight rules of special cause, to understand processes better than before. I want to optimise processes or formulations. Any help using Minitab? Design of experiments or process modelling requires a lot of iterative experiments. Essentially, when the exact relationship between the multiple input factors and the resultant is not known, optimising processes or formulations becomes really difficult. Modelling the relationship between input factors and resultant can be done using two methods, viz. passive and active data modelling. Regression models use passive data and DOE use active data for modeling. Minitab is capable of handling regression models with large number of Xs. At the same time, for short listing Xs, tools like best sub-set method is readily available. This software can execute different types of DOEs including Factorial, Response Surface, Mixture and Taguchi Designs. I am a certified Six Sigma professional. How can I benefit from Minitab? The greatest contribution of Minitab is in making Six Sigma popular as an improvement methodology. 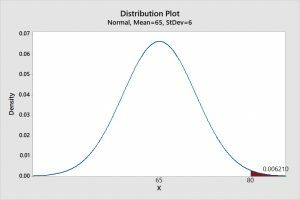 The popularity of Six Sigma increased because of easy availability of statistics, which could be understood by one and all. Each phase of Six Sigma deployment uses this software actively. If you are already a certified professional, then probably you realise that building a culture of statistical problem solving becomes far easier if "statistics" per say can be made fun to learn - for and and all. And, in our opinion, we are yet to see a better tool that can help you accomplish this. Where do I buy Minitab in India? Contact us for quotation or associated ecourses, onsite trainings, or online consultation.